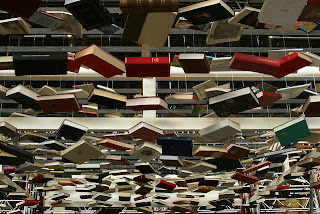 This magical image of books seeming to float in mid-air represents a view that the youth of today might have of books. I wonder how many students are still active readers of books, and how many are more likely to read websites, blogs, and social website posts. 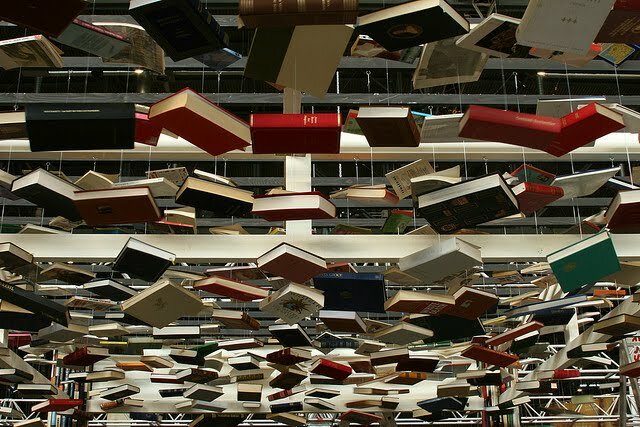 This view of books as magical things of the past may contribute to the intellectual and social destruction of man. I hope we can keep the "magic" of books alive. It would be sad to loose it.